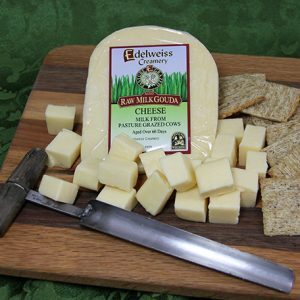 Our Havarti has a buttery, slightly acidic flavor with a supple texture and tiny holes. 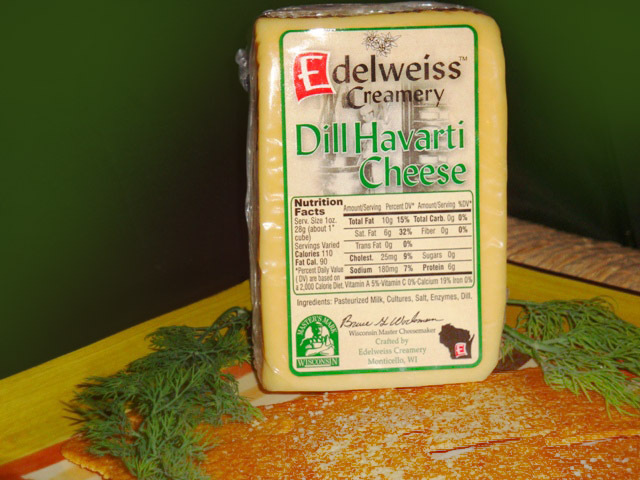 We added dill to this cheese to really bring out its distinct characteristics. 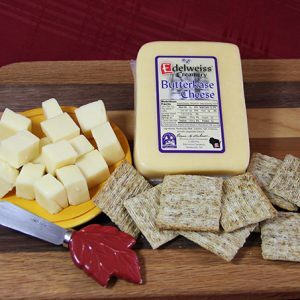 Excellent served alone or melted in a grilled cheese sandwich. This product is sold in 6 to 8 ounce chunks.